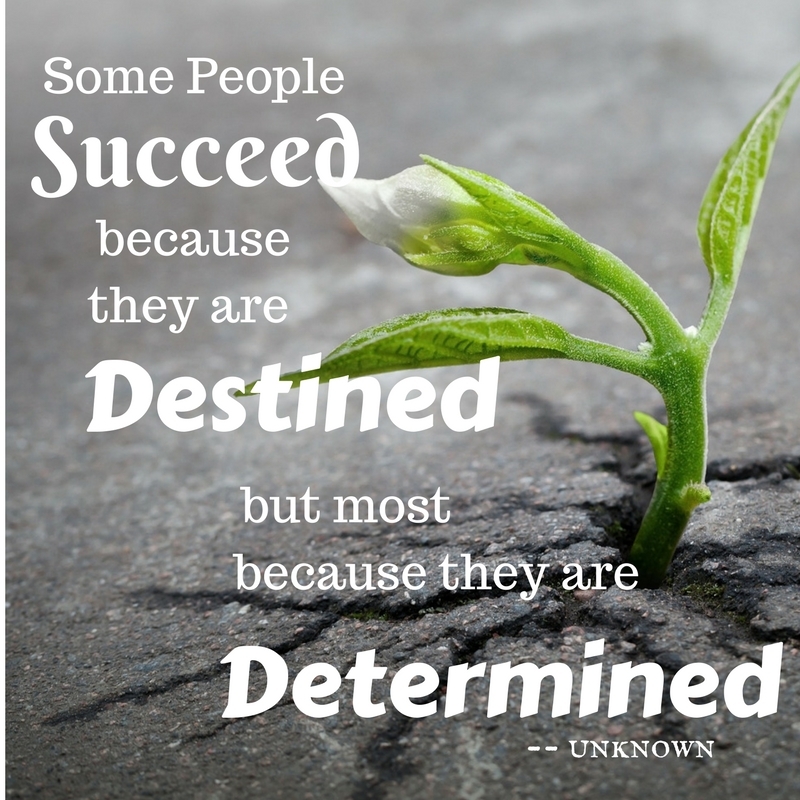 Are you waiting for your destiny to be fulfilled? According to Meriam-Webster destiny is “a predetermined course of events often held to be an irresistible power or agency.” To believe in destiny is a powerful and romantic thing. But success based on destiny is rare. Perhaps it is your misbelief in destiny that holds you back. Don’t take that to mean that you’re destined to fail. March right up to your dream of success with these 7 determined steps to destiny. Make your success happen. How do you do that? There are all kinds of articles with all kinds of lists of things to do that will make you successful. I’ve boiled them down to the 7 determined steps to your destiny. Your why is important. It’s unique to you. Out of your past experiences, there is an emotion or an event that is significant to you. It’s what makes you feel authentic and complete. Let your why guide you. You may not be able to work the job of your dreams, the one that most aligns with your why, right this minute. That’s okay. You can take baby steps and still get there. Delay gratification. Focus on commitment, not motivation. What will you sacrifice to make it? An evening’s entertainment? A high-dollar haircut? Or a couple of hours of sleep? Stop information overload. Learn what you need for today and for tomorrow. Don’t worry about what you’ll need in the future. Baby steps, remember? Seek discovery, improvement, exploration, experimentation. Make the journey fun. You’ll stick with it a lot longer and results will take care of themselves. Stop Self-Sabotage. The things you say to yourself have superpowers. Stop looking for perfect, Stop seeing problems, find opportunities. Don’t rely on others. Get rid of distractions. Support yourself and your why. Acknowledge that success means change and change is scary. Change can be difficult. Prepare your mindset to accept that things will change as you grow into your role as a success. Use your imagination. Visualize yourself as successful. See yourself at the end of your journey to your destiny. If you don’t feel confident right now, act as if your confident. Pretty soon you’ll feel more confident and it won’t be an act. Reject the idea that failing defines you as a failure. Failure is a good thing. It helps you re-evaluate and refocus your efforts. You learn what doesn’t work which sets you up to win. Start with the end in mind. That role you want to play? List the steps you need to take to make your success happen. Those are your goals. Break them down into baby steps. Focus on time-sensitive goals first. Grade or rank your goals. It doesn’t matter if it’s a perfect list. You can make a new list any time. Take at least one action on that list every day. That’s how you take baby steps. And baby steps add up. Protect yourself from burnout. You can’t do all the things at once. You have other responsibilities. Delegate what you can of those other responsibilities. Sacrifice some of those responsibilities. Will it matter if the dusting is only done once a week or once a month? That’s it. It’s not easy. It’s not for the faint of heart. Do it anyway. Follow those 7 determined steps to your destiny. The journey will be worth it. Totally agree with every one of these! Whether you’re saving for an early (or regular) retirement, trying to finish that novel, or wanting to “make it” in whatever field, all are applicable. Thanks, Jennette. I know you are working steps like these and doing a great job at it! Keep up the good work!